Electronic LED converter is exclusively designed for LED products which are to be used indoors. The electronic converter has a switch mode power supply with 24VDC constant output voltage. 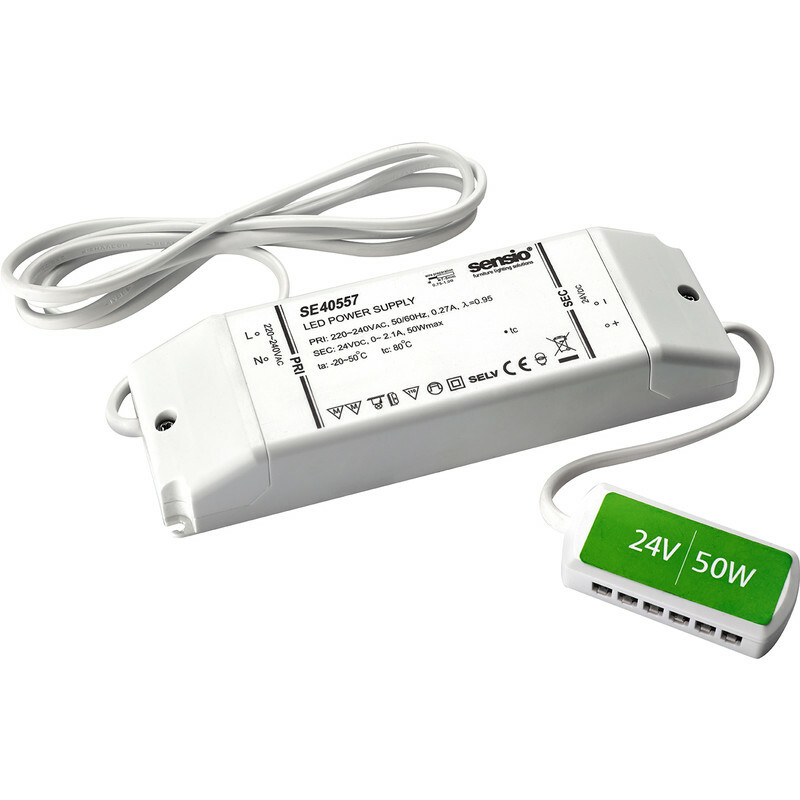 Sensio 24V LED Driver 60W + 12 Way Connector is rated 3.7 out of 5 by 3. Rated 5 out of 5 by Noggs25 from Great price. Took 5 minutes to fit to replace one that got water damage! Great price! Rated 1 out of 5 by glane from incorrectly rated would not run the LED strips purchased with it rated at below 15w, brought new driver from different source & worked fine. obviously over rated.